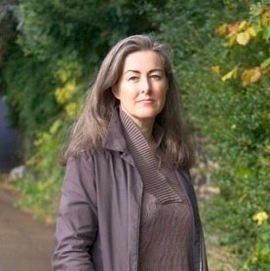 I’ve just posted “Is now the time to criminalize ecocide”, discussing Polly Higgins’ proposal to create a crime of ecocide - criminalizing large scale environmental destruction. But it also seems appropriate to make some observations on the legal issues around recognizing ecocide in Canadian criminal law. After all, the Alberta tarsands are identified by the website “This is Ecocide” as the top example of ecocide in the world. Referred to as the most damaging project on the planet, it ranks top of the list. Known as ‘dirty oil’ due to its excessively damaging outcomes, if proposed expansion proceeds, tar sand extraction will result in the loss of vast tracts of boreal forest and muskeg peat bogs of a territory the size of England. Higgins wants the UN to recognize ecocide, and she hopes that this will result in national governments adopting their own criminal legislation (just as there is a Canadian law against genocide). This post is not looking at the political question: are Canadians ready to support a law that holds people criminally responsible for large-scale environmental destruction. David Suzuki got blasted for suggesting that Canadian politicians should be jailed for their inaction on climate change, so in at least some cases the answer may be no. That clearly is an important question, but this is a legal blog. So: as a matter of law, could Canada’s Parliament enact a law of ecocide as proposed by Higgins? … [T]he protection of the environment is a major challenge of our time. It is an international problem, one that requires action by governments at all levels. … I am confident that Canada can fulfill its international obligations [in respect of the environment], in so far as the toxic substances sought to be prohibited from entering into the environment under the Act are concerned, by use of the criminal law power. The purpose of the criminal law is to underline and protect our fundamental values. While many environmental issues could be criminally sanctioned in terms of protection of human life or health, I cannot accept that the criminal law is limited to that because “certain forms and degrees of environmental pollution can directly or indirectly, sooner or later, seriously harm or endanger human life and human health” … But the stage at which this may be discovered is not easy to discern, and I agree … that the stewardship of the environment is a fundamental value of our society and that Parliament may use its criminal law power to underline that value. The criminal law must be able to keep pace with and protect our emerging values. Based on this analysis, there would be nothing preventing Canada’s Parliament from enacting a criminal law against ecocide. That being said, some of the details of Higgins’ proposal, as fleshed out in her book, Eradicating Ecocide, may be difficult to implement in the Canadian legal context. Notably, Higgins proposes that ecocide be a strict liability offence. It is proposed that ecocide be a crime of strict liability, one without the requirement of mens rea. The reasons are four-fold. Firstly, ecocide is a crime of consequence. It is often not the conduct itself that is in question but the consequences of the conduct. … Secondly, the gravity and consequences of extensive damage and destruction to the environment justifies conviction without proof of any criminality in mind. … Thirdly, without absolute liability for ecocide, the legislation would be rendered largely ineffective. The fourth reason is the rationale that strict liability places the focus on the exercise of preventing the harm, not on the blame of the accused. Some terminology, first. Mens rea refers to the mental element of a crime. Did a murderer intend to kill his or her victim? Strict liability refers to an offence for which no mental element is required. You can be ticketed for speeding regardless of whether you have a good reason or intended to break the speed limit. Where the offence is criminal, the Crown must establish a mental element, namely, that the accused who committed the prohibited act did so intentionally or recklessly, with knowledge of the facts constituting the offence, or with wilful blindness toward them. Mere negligence is excluded from the concept of the mental element required for conviction. Indeed, the Supreme Court of Canada has gone so far as to hold that under the Canadian Charter of Rights and Freedoms certain criminal offences, due to the threat of imprisonment and the “special nature of the stigma”, must have an appropriate mental element. Subsequent cases have complicated that analysis somewhat, and it appears that for less significant offences the mens rea may be less onerous (possibly merely allowing the defendant to lead evidence to demonstrate that they were not negligent in allowing the crime to occur). However, the fact remains that if the crime of ecocide is to have the legal consequences and (I presume) social stigma that Higgins wants it to, it may be difficult to enact it as a strict liability offence in Canada. This is not to say that there are no solutions. If the physical crime (the actus reus) refers to destruction of ecosystems on a large scale, I find it difficult to see that the mens rea is quite as difficult to establish as Higgins suggests. A corporation does not destroy thousands of hectares of ecosystems overnight – and it may well be possible to prove at least criminal negligence if a business continues with a business plan that will inevitably amount to ecocide. So on one level the Canadian case law supports the idea that it could one day be illegal to commit ecocide in Canada. However, some of the details of that criminal offence might be different than the strict liability criminal offence proposed by Higgins.